Founded in early 2012 by vocalist/keyboardist Geoffrey Langley, five-piece The Twenty Committee are the newest entry in the thriving progressive rock scene of the Philadelphia/New Jersey region. A few months after the band’s formation, Langley went to Nashville to audition for Neal Morse’s touring band, and the quality of his material attracted Morse’s attention. In July 2012, Langley went back to Nashville with the rest of the band to record their debut album at Radiant Studios. 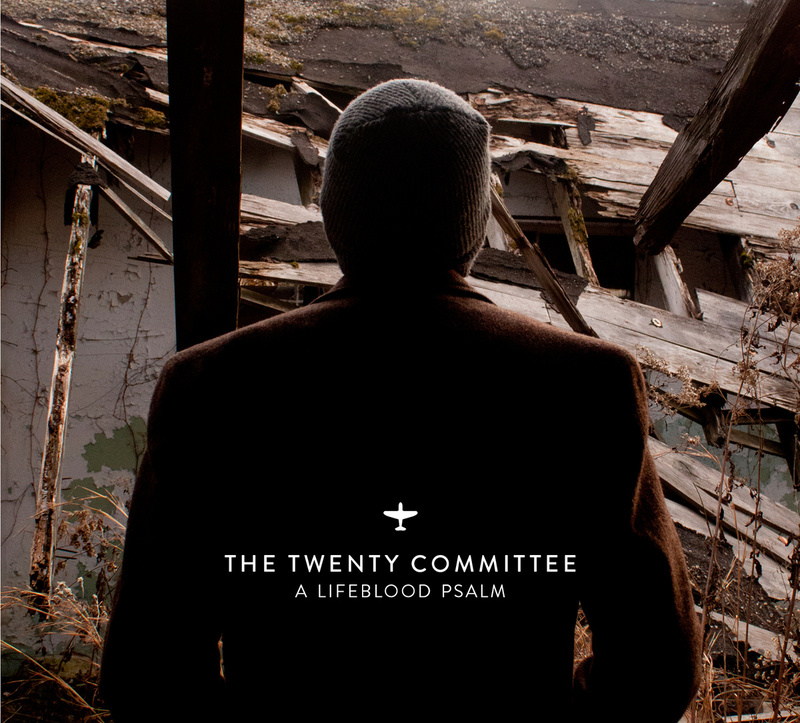 A Lifeblood Psalm, produced by Morse’s long-time collaborator Jerry Guidroz, was released in April 2013, and followed by a number of live shows (including one at the NJ Proghouse in March 2013). Like other bands from the same geographical area (notably Shadow Circus, 3RDegree and IZZ, but also the edgier The Tea Club and Thank You Scientist), The Twenty Committee straddle the line between progressive and pop – their lush, multilayered arrangements coexisting with catchy melodies, topped off by Geoffrey Langley’s impeccable vocals. In a genre where the majority of vocalists are either idiosyncratic (cue the many Geddy Lee clones) or so discreet as to be almost nondescript (as in the Steven Wilson school), Langley impresses for his smooth, clear tones, never sounding strained or cheesy, and truly a perfect fit for the band’s material. From the instrumental point of view, the presence of a second guitar (not frequent in prog), together with the strings provided by renowned session orchestra The Nashville String Machine, flesh out the sound and lend it a symphonic dimension. Unlike those “crossover” prog bands who focus on the reinterpretation of the song form rather than on prog’s old warhorse, the epic, The Twenty Committee pay tribute to the genre’s time-honoured tradition by featuring a 10-minute track and a five-part suite. In spite of that, the album’s running time is kept to a very restrained 45 minutes, which allows the listener to enjoy the music without feeling overwhelmed. Though the Neal Morse connection, as well as the album’s general catchy-meets-symphonic allure, have elicited comparisons with Transatlantic and Spock’s Beard, many times while listening to A Lifeblood Psalm I was reminded of Echolyn, especially their self-titled 2012 album. A recorded radio broadcast leads into the short “Introduction”, where Langley’s soothing voice and piano are complemented by strings and guitar. Then “How Wonderful” reveals The Twenty Committee’s approach to crossover prog, with echoes of classic Genesis in the lush yet smoothly flowing interplay of keyboards and guitar (both acoustic and electric), elegant vocal harmonies and plenty of emotion, culminating in a dramatic guitar solo by the excellent Steve Kostas. The Echolyn influence surfaces strongly in the 10 minutes of “Her Voice”, which is also the most likely to appeal to those with a more left-field bent on account of the atmospheric “controlled chaos” of its middle section, as well as its evident jazz influences emphasized by brisk electric piano – definitely a very ambitious offering with lots of twists and turns and outstanding performances throughout. The gentle ballad “Airtight”, its autumnal feel enhanced by strings and harp, closes the album’s first half on a low-key note, reprising the mood of the opener. Presented as five separate tracks, the unconventional suite of “The Knowledge Enterprise” (a title with a strong “modern prog” flavour, just like the album’s cover artwork) introduces some new elements in the mix – such as the metal-tinged riffs and whistling moog of the energetic instrumental “Overture”. “Conceivers and Deceivers” blends tradition and modernity, piano punctuating the ebb and flow of the music, and sudden surges of intensity adding a dramatic, almost cinematic dimension reminiscent of The Tea Club. The brothers McGowan’s outfit is also evoked by the masterful handling of quiet-loud dynamics of “Tonight”, enhanced by the strings’ stateliness. On the other hand, while the melodic development of “With These Eyes” is somewhat more predictable, Langley’s exquisite vocals and the dreamy, waltzy moog at the end add interest. The suite is then wrapped up by a short, upbeat “Finale”. While A Lifeblood Psalm is somewhat more “mainstream” than most of the albums I generally review, the outstanding musicianship and excellent production values make for a very rewarding listening experience. For a debut, it certainly sounds extremely accomplished (though not so much as to come across as contrived), and establishes The Twenty Committee as a great new addition to the roster of young US bands that embrace the ethos of prog’s “new frontier”.